Style: #47019 12 oz. Monogram: Font Style: Please Choose OneNoneMono #1Mono #2Mono #3Mono #4DMono #5Mono #6Mono #8 Who is this item for? A smaller version of the 16 ounce Balloon Wine Glass, monogramming this 12 ounce glass adds the perfect touch. 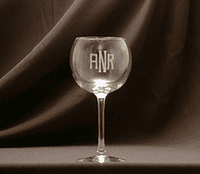 All glassware will be etched in monograms only with Roman Block or Diamond font. The Diamond font must be a monogram with the last name initial larger and in the center. The Roman Block font can be used as a monogram (last initial in center) or with initials in order (first, middle, last). For more detailed information regarding personalizing glassware please see the Personalization Page. If the "who is it for" full name does not fit in the space allowed please spell it out completely in the comments section. Comes with a Micro-Rim (rims that are polished to a fine finish for an enhanced "tasting" experience). The glass stands 9" tall. The measurements and capacities are approximate. Drop shipped directly from company. 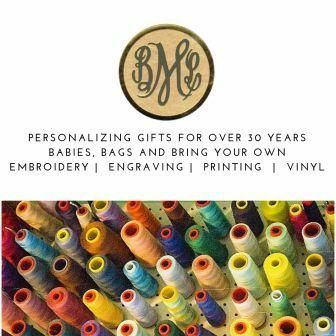 Gift packing and wrapping with a bow available. Please be sure to put your gift enclosure message on the checkout page.